Önnur samsýning Félags filmuljósmyndara á Íslandi verður haldin í sýningarsal Custom Photo Lab að Fiskislóð 79 og opnar á Menningarnótt 2015. Sýndar verða svarthvítar myndir félagsmanna teknar með hliðrænum (analogue) hætti á filmu og stækkaðar á hefðbundinn hátt með silfur-gelatín aðferð í myrkraherbergi án aðkomu tölvutækninnar. Einnig verða aðferðirnar á bak við tilurð myndanna kynntar, m.a. mismunandi filmutegundir, gerðir myndavéla og sérstakar aðferðir sem ljósmyndararnir nota. Nokkrir ljósmyndaranna verða viðstaddir með vélarnar og svara spurningum sem kunna að vakna um filmuljósmyndun. Silfurhalíð er hið töfrandi efni sem gerir filmur og pappír ljósnæman. Sýningin heitir eftir efnafræðiformúlu þessa efnishóps, AgX. Sýningarstjórar verða þrír félagsmenn sem skipa valnefnd, David Barreiro og Laura Valentino, sem eru með meistaragráðu í listum og meðlimir í SÍM (Sambandi íslenskra myndlistarmanna), og Stuart Richardson, eigandi Custom Photo Lab, sem sérhæfir sig í prentun í hæsta gæðaflokki fyrir söfn og gallerí. 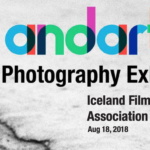 The Iceland Film Photographer Association will hold its 2nd members’ show at Custom Photo Lab, Fiskislóð 79 on Menningarnótt, August 22, from 3-8pm. On display will be silver gelatin prints – photographs taken with analogue film cameras and enlarged in the traditional way in the darkroom, without the use of digital technology. The methods behind the making of the prints will be introduced, including film formats, types of cameras and any special techniques that may have been used. Several photographers will be present with their cameras to answer any questions guests may have about film photography. 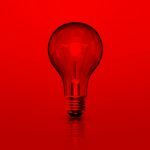 Silver halide is the magic ingredient which gives photographic film and paper their light sensitive properties. The name of the show is taken from the chemical notation of this compound – AgX. The images on display are selected by a committee of three – David Barreiro and Laura Valentino, who have masters of arts degrees and are members of the Association of Icelandic Visual Artists, and Stuart Richardson, a specialist in high quality photo printing for galleries and museums and owner of Custom Photo Lab. 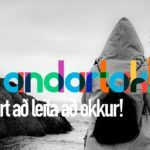 Kallað eftir þátttakendum – Call for Entries!